Harold has been in the horse business for over 50 years, he began in the early 60's with some Quarter Horses and Appaloosas. He started showing Appaloosas in the 60's and by the late 60's he purchased an Appaloosa stallion named Super Smoke from the legendary Joe Schomer from Fort Pierre South Dakota. 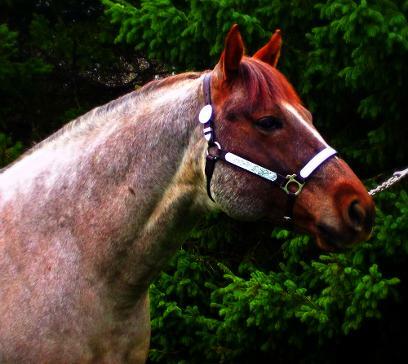 Super Smoke ended up having a very successful show career and proved himself as a great sire when crossing him on Appaloosa and Quarter horse mares. In the late 70's Super Smoke passed away and a few years later Harold ended up selling his remaining Appaloosa mares and went strictly to raising Quarter Horses. Through the decades of breeding Quarter Horse Harold has had many good mares and stallions Including: Rib Eye, Twin Burner, Spanish Lucinda, How D Spainish Leo, Romans Impressive, Moore Cash Popper, Heirs A Cool One, HKS Top Priority and HK Top Image. Unfortunately, Harold passed away on December 13, 2015. His family is continuing his legacy. There will be a 2017 foal crop of 6 babies. All the 2017 foals are sired by Handy Sierra. We are already starting to breed mares for the 2018 season and there will hopefully be foals out of a three stallions: HK Top Image, Handy Sierra, and HK Blue Sky. These will be horses with great minds, looks, and do anything attitudes and abilities. Check back frequently for new pictures and possible horses and foals we have for sale. Feel free to look and contact us at kalaharquarterhorses@gmail.com or call (515) 571 7561.